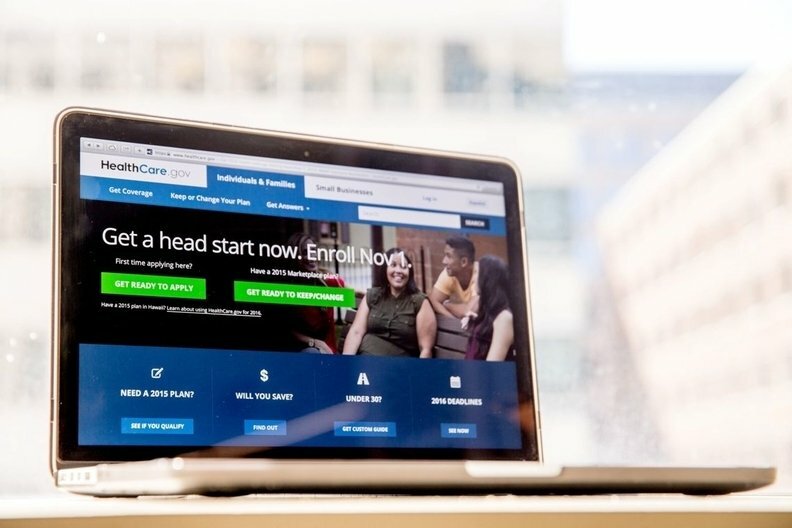 A congressional watchdog said the Trump administration needs to step up its management of sign-up seasons for former President Barack Obama's healthcare law after mixed results last year in the throes of a failed GOP effort to repeal it. The report due out Thursday from the Government Accountability Office is likely to add to Democrats' election-year narrative that the administration actively undermined "Obamacare" without regard for the consequences to consumers. — HHS under Trump broke with its own previous practice by failing to set enrollment targets for HealthCare.gov last year. The watchdog recommended that HHS resume setting goals, a standard management tool for government agencies. Without setting numeric goals, HHS won't be able to measure whether it is meeting "its current objective of improving Americans' access to healthcare," the report said. The administration responded that it does not believe such targets are relevant. — HHS used "problematic" and "unreliable" data to justify a 40% cut in funding for enrollment counseling programs known as Navigators. HHS responded that it's making changes to how those counseling programs are evaluated. But it has cut funding again, by about 70%. — When HHS slashed money for open-enrollment advertising by 90% overall, officials said they were doing away with wasteful spending. But an internal study by the department had actually found paid television ads were one of the most effective ways to enroll consumers. The budget for TV ads went from $26.6 million in the Obama administration's final year to zero under President Donald Trump. "This independent and nonpartisan GAO report confirms that the Trump administration's sabotage of our healthcare system is driving up costs for consumers and leaving more Americans without health insurance," said a statement from a group of Democratic lawmakers led by Rep. Frank Pallone of New Jersey. HHS said in a statement that the 2018 enrollment season was the "most cost-effective and successful experience" for consumers, citing a 90% customer satisfaction rate with the HealthCare.gov call center. Republicans' drive to "repeal and replace" the health care law stalled in the Senate last year, and the Trump administration instead found itself having to run a program the president repeatedly branded a "disaster." The watchdog found that sign-ups in the 39 states served by HHS through the federal HealthCare.gov website dipped by 5% last year, while states running their own enrollment effort maintained their sign-up levels. A total of 11.7 million people enrolled for 2018 coverage, with about 85% receiving subsidies to help pay their premiums. "Substantial increases" in premiums triggered by Trump cut both ways, the watchdog found. People with modest incomes entitled to subsidies got more financial aid from the government, and their coverage became more affordable. But solid middle-class customers paying full premiums were priced out of the market.